Back with Prom Makeover #2! 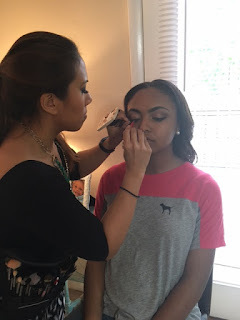 I was so happy to do this lovely lady's makeup for the second time as I did her prom makeup last year as well. Last year, she did a gold glitter eye and this time she wanted something a bit more mature - we went for a rosey palette. Check it out! 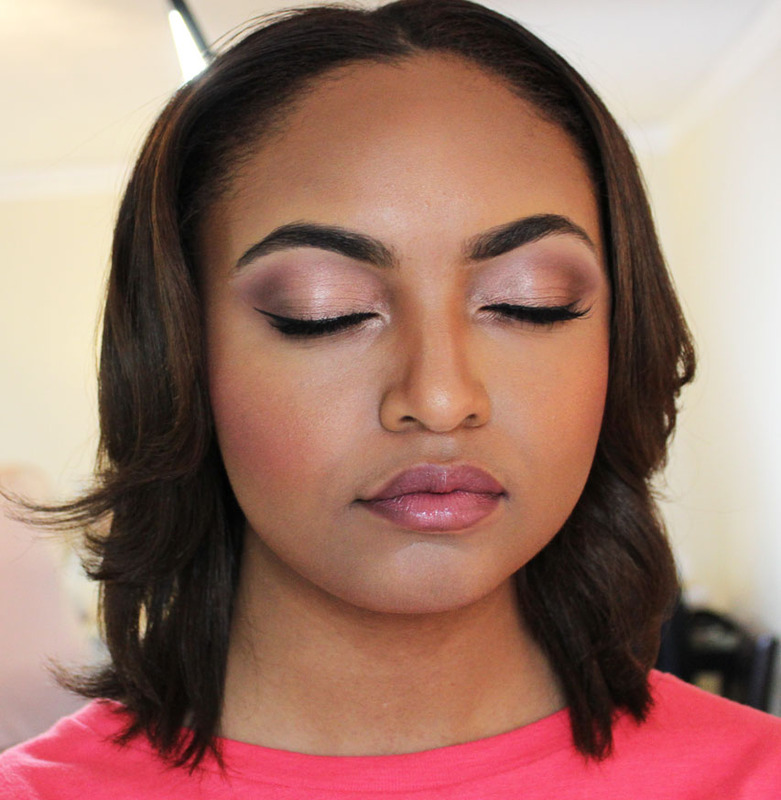 My client came in with an inspiration makeup pic from Zendaya. The rosey tones would complement her blush colored prom dress beautifully. My client is so easy to do. She's gorgeous, has great skin, and her brows are to die for. I'm so jealous every time I see all my young clients with their natural full brows. I definitely regret plucking mine so much back when I was younger. For the yes I used the Lorac Unzipped Palette. We added demi wispies and I used Anastasia Brow Powder to define her brows just a little bit. For the skin, I used a combo of Make Up For Ever and Graftobian to complement her caramel complexion. The lips are a constant mix of a pink and wine colored liquid lipstick topped with the client's own pink gloss. Hope you all enjoyed. 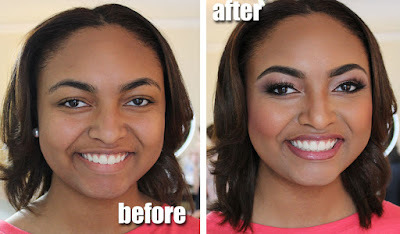 I've got one more prom makeover to go!